It is a fish and chips night and I can hardly wait. Large plates get pulled out of the cupboard, knifes and forks are piled on the table and then we tear into the yards of thin paper to reveal a thing of beauty. A generous helping of thickly-cut pale gold chips surrounds a fillet of fish – battered and then deep fried to a perfect golden colour. It is a culinary sin you simply have to tuck in. A proper English experience you cannot miss to have. Honestly, if you have been to England and have departed without having had fish and chips, your visit there doesn’t count. You better re-book your tickets and make plans to return asap in order to rectify your grave mistake. 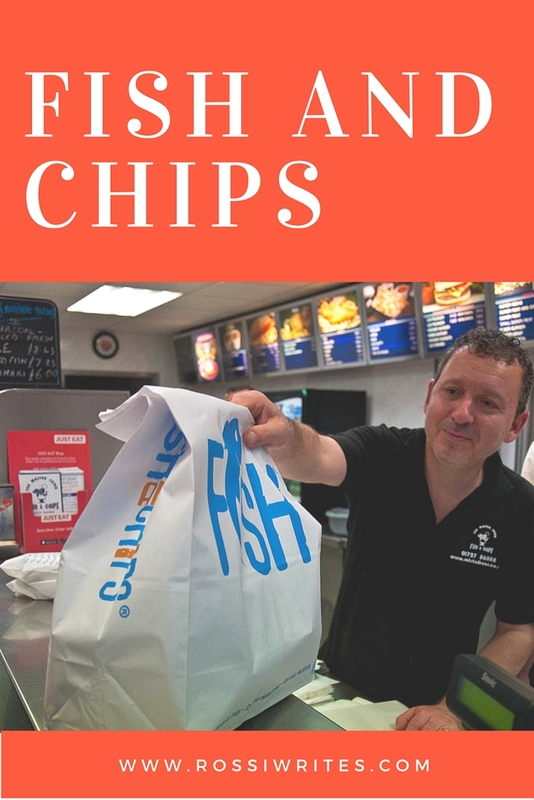 You will easily find fish-and-chips-serving establishments in every English town and city, on every self-respecting high street. And, of course, you can play it posh and head to one of those newfangled gourmet places where they sell the chips wrapped in fake newspaper pages and where a small piece of haddock will set you back about 20 quid. 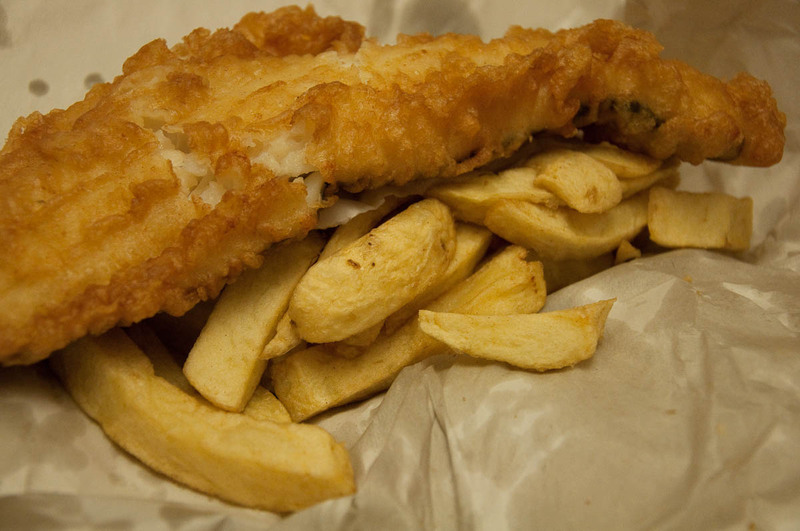 Or, you can taste the real thing by walking into a local takeway fish and chips shop – the type of place where a large portion of chips is enough to feed two and where the sight of a huge piece of haddock in batter can make you weep from joy. So, this is exactly what we did! 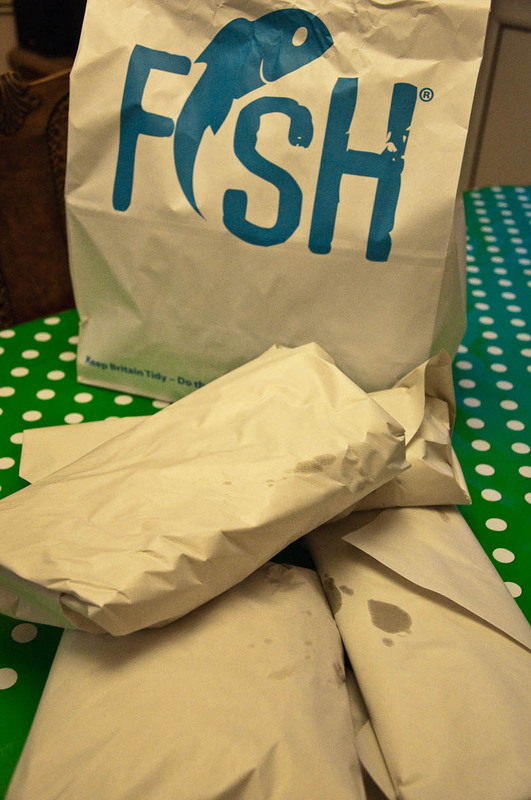 Now, if you have never been inside an English fish and chips takeway, let me set the scene for you. 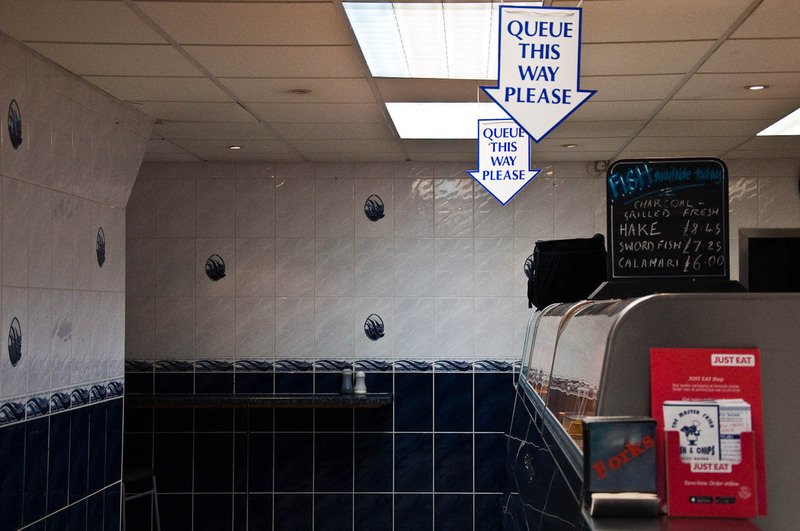 After all, the country’s fish and chips industry is apparently worth £1.2 billion a year with thousands of fish and chips shops (also called ‘chippies’) operating locally. So, it is good to know what to expect when you visit one and how to have the best experience there. 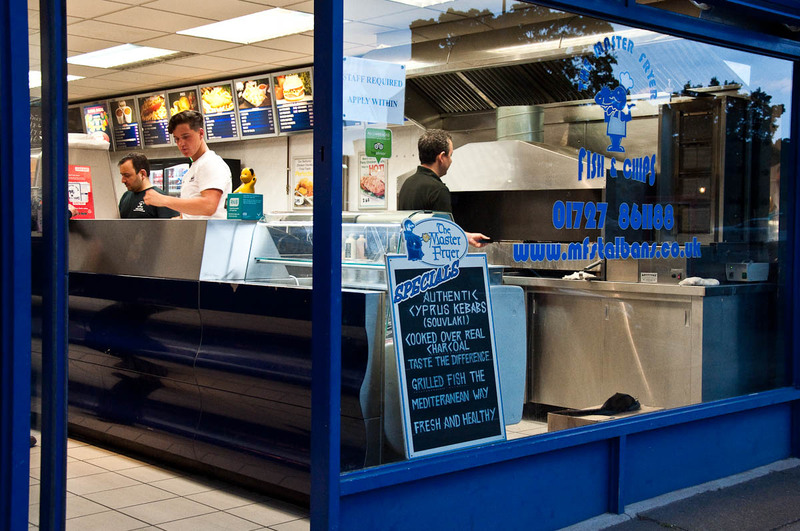 The traditional fish and chips takeaway shop will usually have a long counter in the middle of the room with staff manning the fryers and the grills behind it. Several menus and backlit displays with pictures of the food served will be hanging above their heads. 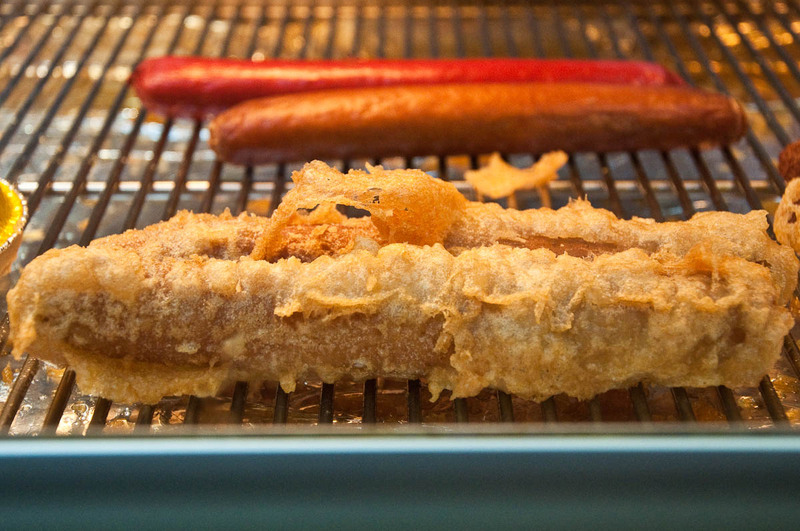 A warm display will contain a few pieces of already prepared food (like a deep fried saveloy or two), but orders are usually cooked from scratch. 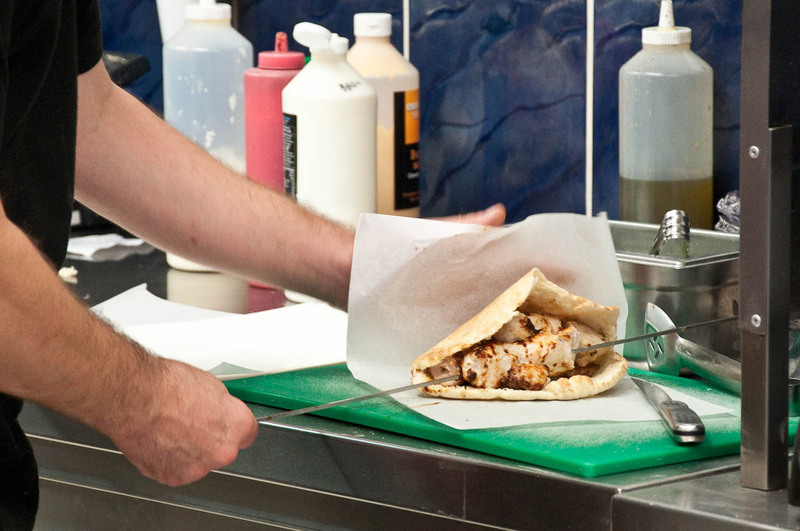 Nowadays fish and chips shops often offer additional food choices, like shish kebabs and burgers. The Master Fryer where we went, for example, specialises in Cypriot food too, so you could get a freshly grilled souvlaki, if you prefer it to the fried fish. 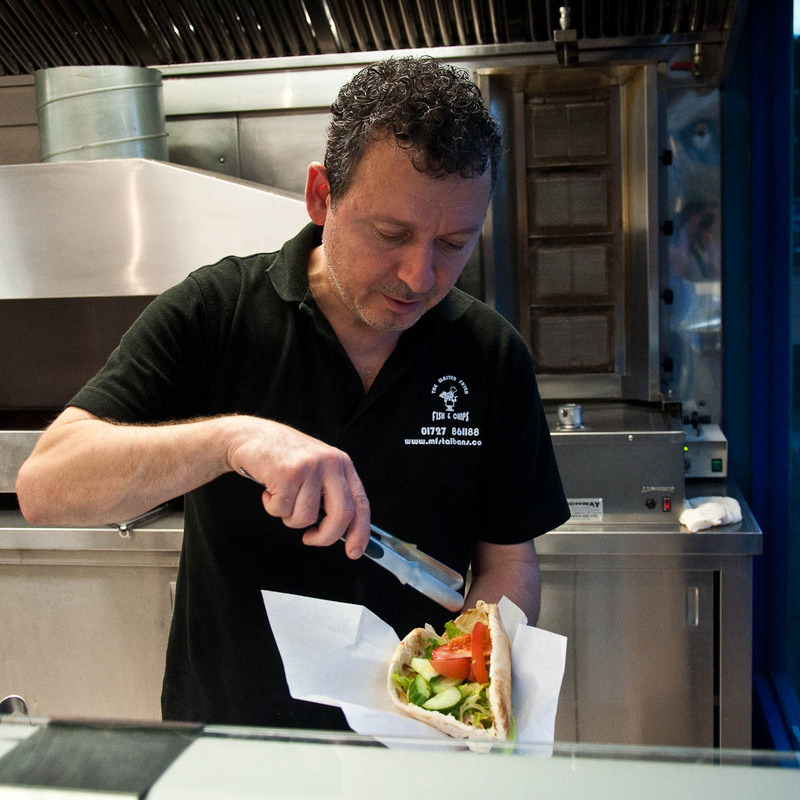 The customers walk in from the street – most of them are locals and know the place and what it offers well. 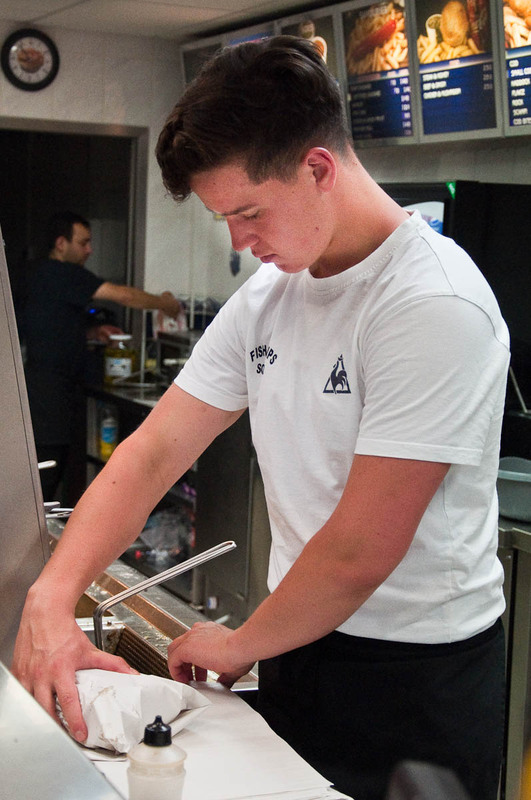 Hence they will have in mind what they want to order, so they will quickly place their order at the till and then quietly stand around for about ten minutes or so while their food is getting freshly prepared. Sometimes, there will be a bar, too running along the wall, so that you can have your meal in the shop as soon as it is ready. 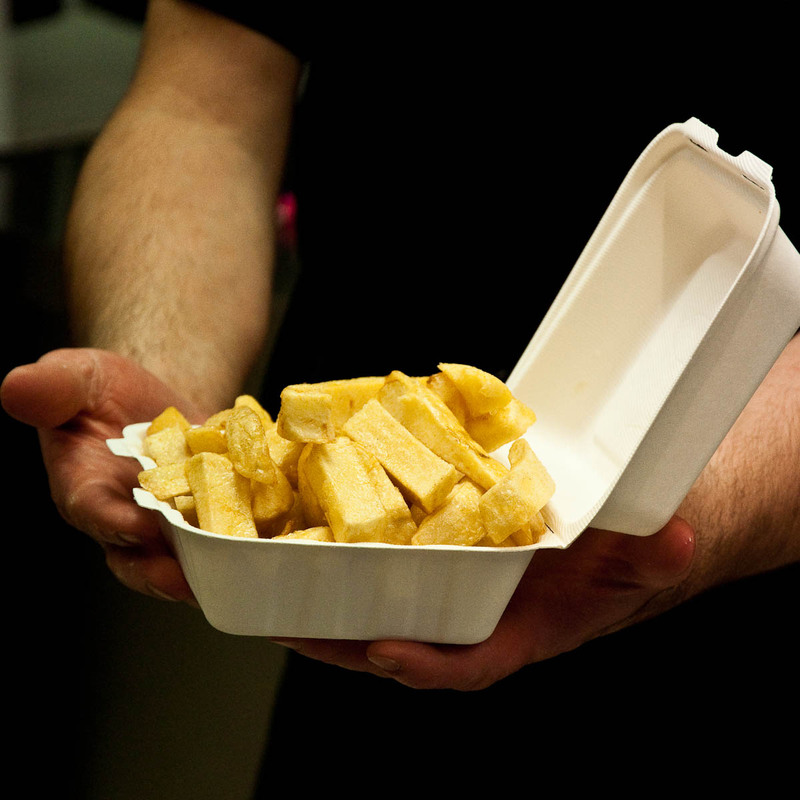 But most people get their tightly wrapped fish and chips away to enjoy them in the peace of their homes or even their places of work. As we walk in The Master Fryer around 8 pm the place is doing a steady business. It is a rainy evening outside and people pop in and out to grab a portion of cod and a bag of chips. Most look like they have just finished a long day at work and can’t face up to spending another hour cooking in the kitchen at home. Others have come here during their work break to grab a warm dinner to eat. A nurse still in her uniform orders two souvlaki and while we look around and discuss what we want to order for ourselves, we see how the chicken pieces get grilled to perfection and then stuffed in a pitta bread which is generously garnished with fresh salad of tomatoes, cucumbers, onions and lettuce. It looks delicious! But we can’t be swayed. It’s fish and chips for us tonight. 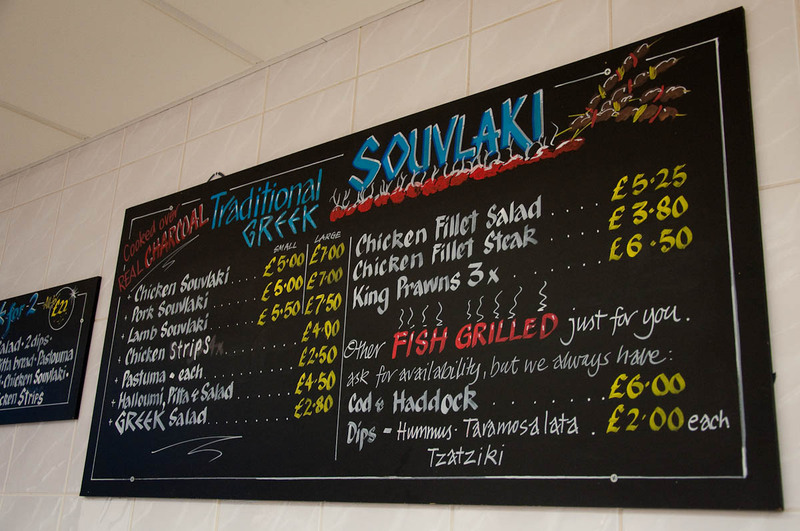 Greedily, we order two large portions of chips and then a large fillet of cod and another large fillet of haddock. I have to tell you that I have always struggled to make a distinction between a haddock and a cod. They are both white fish with nice slightly chewy meat. My husband swears than one is better than the other, but I always forget which one he has in mind. So, anyway, we order one of each and then settle into a quiet wait while in front of us the owner and his two colleagues engage in a mesmerising routine. They get orders ready and out of the door in no time at all. 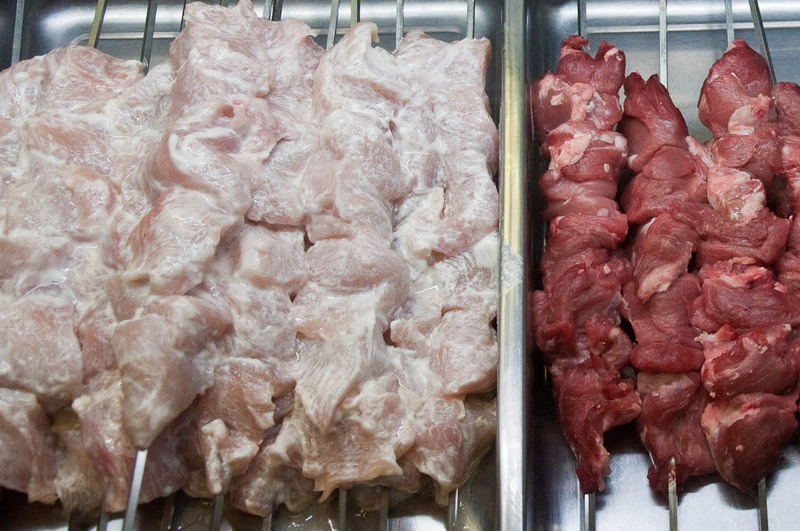 Portions of chips are lowered in the deep fryers. Huge fish fillets are rolled in batter and then fried, too. Everything is timed as both ingredients of this very tasty meal need to be simultaneously finalised so as to be served to the client still piping hot. The fish batter is thick yet very light. Prepared with a special type of flour, it envelopes the fillet from all sides, creating an armour of golden crust which is so satisfying to break into and then devour one large crispy piece after another. My favourite thing though are the thickly cut chips. Fried in boiling hot oil, they have a fabulous crunch when you bite into them, yet are soft and mushy inside. Speaking of mushy, a traditional side order you can have with English fish and chips is called ‘mushy peas’. Which is just what it says on the tin, namely soft boiled peas which have been mushed almost to a pure but still have some large bits in it. It is really good! Or, you can also order a pickled egg, which is a hard boiled egg which has been cured in vinegar and has a tangy taste to it. You can round it all with tartar sauce for the fish and curry sauce for the chips. 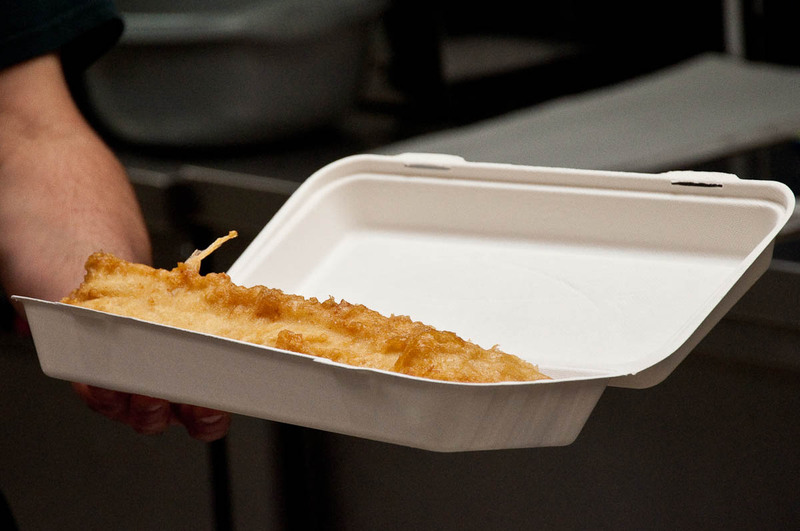 Tonight though we want the pure thing – just the fish and just the chips – and we can’t wait to take them home and tuck in. More people come in and go. Orders are given, money is handed in and change handed out. 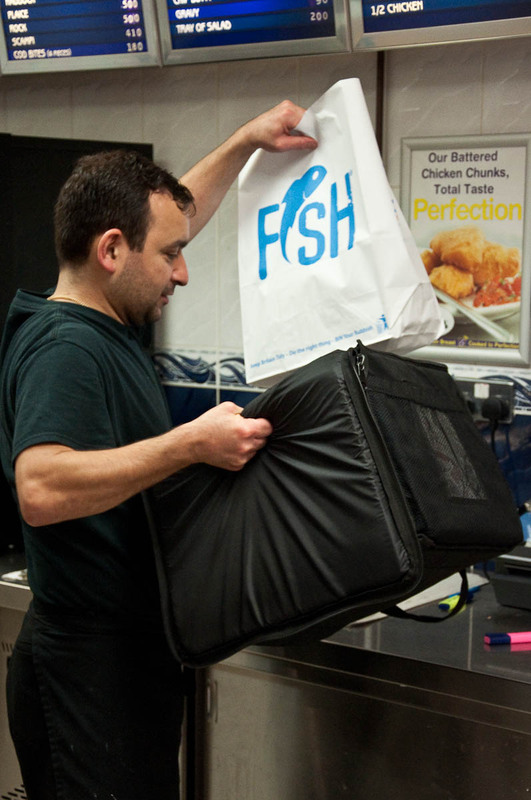 Takeaway orders are called in and the shop’s delivery driver zips in and out with his warm bag ready to transport yet another huge pack of freshly prepared food. I look around trying to spot and memorise little details to give me a better understanding of the business of the fish and chips. I see the hygiene certificate of The Master Fryer giving it a five star rating. 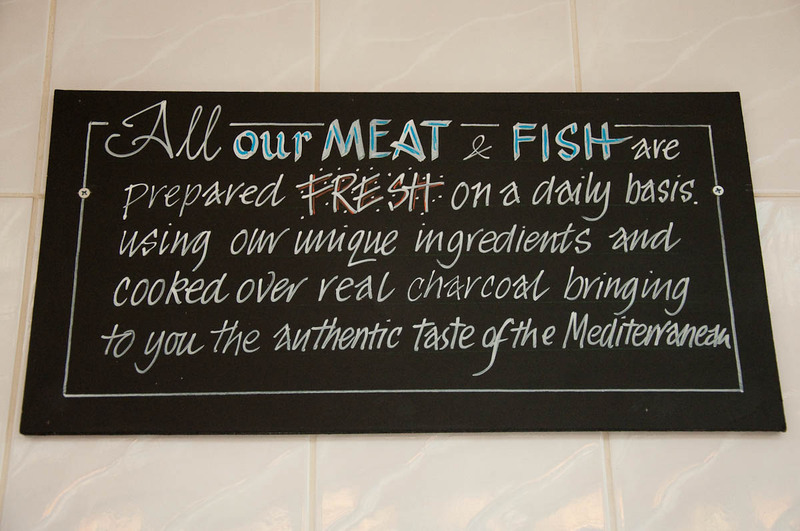 Black boards on the wall explain that the meat and the fish served there are freshly prepared every day. I also notice that apart from the traditional haddock and cod, The Master Fryer also offers swordfish and even calamari to respond to recently increased demand in England for posher types of fish and seafood. Just then the most interesting part begins. Our chips are ready and the worker behind the counter stuffs two paper bags with them. Then he asks us if we want them sprinkled with salt and vinegar (which is a typical English thing. 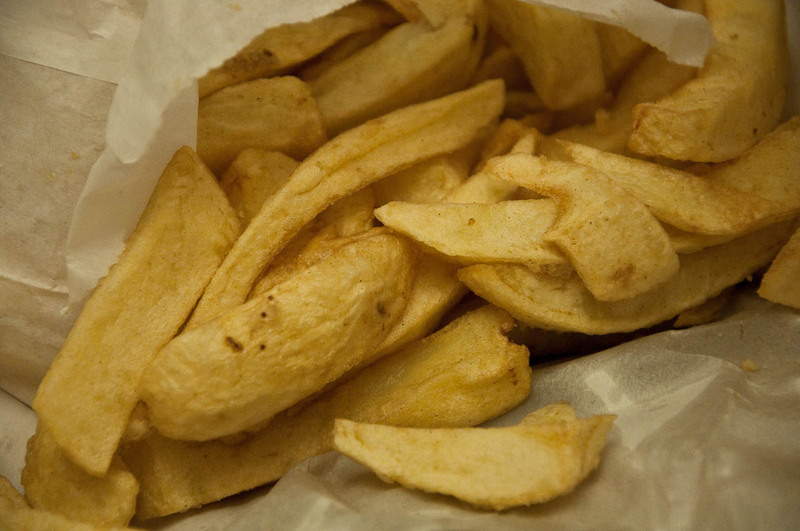 I used to balk at the idea of having chips covered with vinegar, but, honestly, it simply makes them softer, rather than giving them a strange taste) and then he starts to wrap them up swiftly. He uses what seems like countless sheets of paper to create two tight wraps, able to preserve the chips hot for the duration of our short journey back home. Then it is time to wrap the fish fillets. Once again several pieces of paper are used. The workers’ hands move fast with a nimble precision. Finally, everything is placed in a large paper bag and handed with a smile over to us. We say ‘Thank you!’, smile back and impatiently pile in our little red car. It’s fish and chips night and we don’t have any time to loose. We need to drive back home, pull the big plates out of the cupboard, knifes and forks out of the cutlery drawer and then feast. 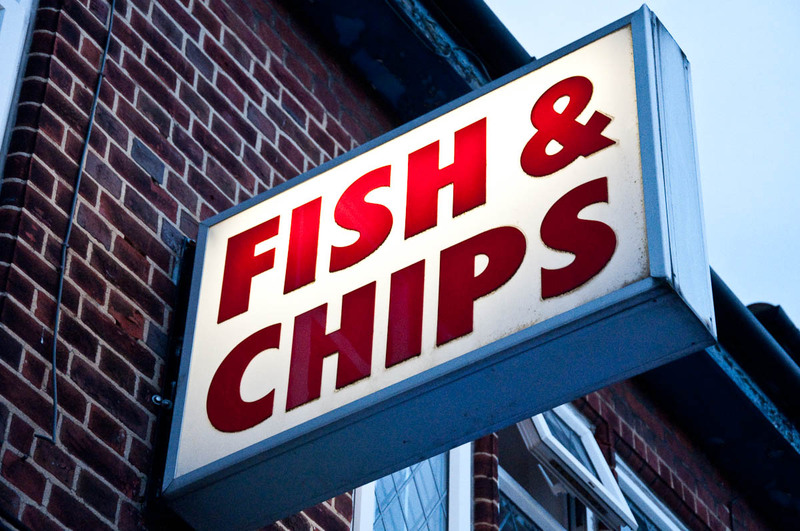 Have you had fish and chips in England? How did you like them? Let me know in the comments below.